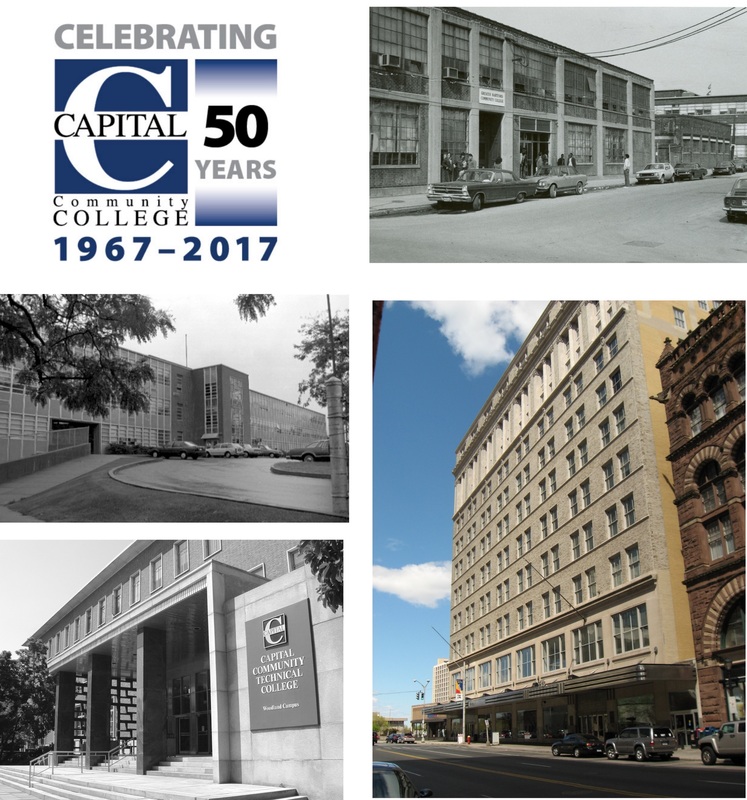 Capital Community College is observing its 50th anniversary during the 2017-2018 academic year and the College is establishing an Alumni Hall of Fame. Nominees who are selected this year will be recognized at an Alumni reception and concert on Thursday, April 25th at the College’s Centinel Hill Hall auditorium. Alums from both Capital (Greater Hartford Community College) and Hartford State Technical College are eligible. The deadline for nominations is December 1, 2017. Fifty years ago Greater Hartford Community College opened at a two-story Sequassen Street building near Colt Park with a first year class of 388. In 1967 Hartford State Technical College, an institution founded in 1946 that was consolidated with CCC in 1990, became a degree granting institution. Through the years more than 300,000 students have enrolled. A selection committee will consider each individual focusing on but not limited to the following: career and professional achievements and contributions to his or her field or occupation; past or present service to Capital Community College or its founding institutions; leadership and public and community service. Nominees must have completed a minimum of two semesters to be eligible. For more information contact the Office of Institutional Advancement: 860-906-5102 or e-mail: CA-Foundation@capitalcc.edu. This entry was posted in 50th Anniversary, Alumni, Announcements. Bookmark the permalink.